A close foil friend since 2009 just hurt himself bad so I will share in hopes of prevention for others. He had standard helmet was on a race KBHF set up in 1,5 m swell, side on 20 knots, 7m2 kite. 2 days in hospital and now reconstructive surgery for cheek and jaw bones as well as upper and lower tooth implants! No doubt that a quality strong full face helmet would kept him safe. I have a full face motorcycle helmet but is way to much. Of course this was maybe just bad luck but I,we have more that once even with standard helmets had Bar, board, t bar face contacts. I looked into fencing ones but to flimsy face mesh. Last edited by revhed on Tue Oct 24, 2017 8:21 pm, edited 1 time in total. I think that's just a horrible freak accident. I also think full face helmets might be Impractical and potentially increase drowning risk and whiplash. Sorry to hear about the injury but some things are just not practical. Jetski racers use some motocross style helmets for water, that can be an option. Full face helmets seem like a great idea to me! I think a single bar might be practical like they have for punters in american football. Sounds so silly bu how many people would be alive if had even simple helmet on in car accident? Always remember there are 3 crashes! car impact, head impact, brain impact on skull...ouch! Not to long ago bike and ski helmets were almost unheard of, let alone used! Bubble hat is just to big, still good thinking, we have often thought of a inflatable ring to help neck support when high speed and, or wave KBHF crash. Maybe this winter I will design build face guard to fit my helmet and inflatable neck ring built together for our crashes. 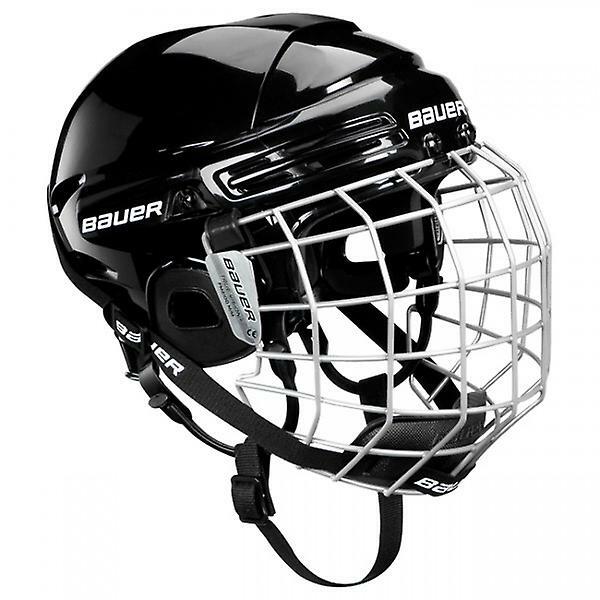 Looks like a hockey goaley wire face guard could be made to fit a standard helmet. Now that you mention that also remember a guy who lost front teeth in KBHF crash on board. Even a single bar well placed could help a lot! See that mountain bike guys have some good looking brain buckets! Last edited by UKSurf on Sun Oct 22, 2017 1:31 am, edited 1 time in total.